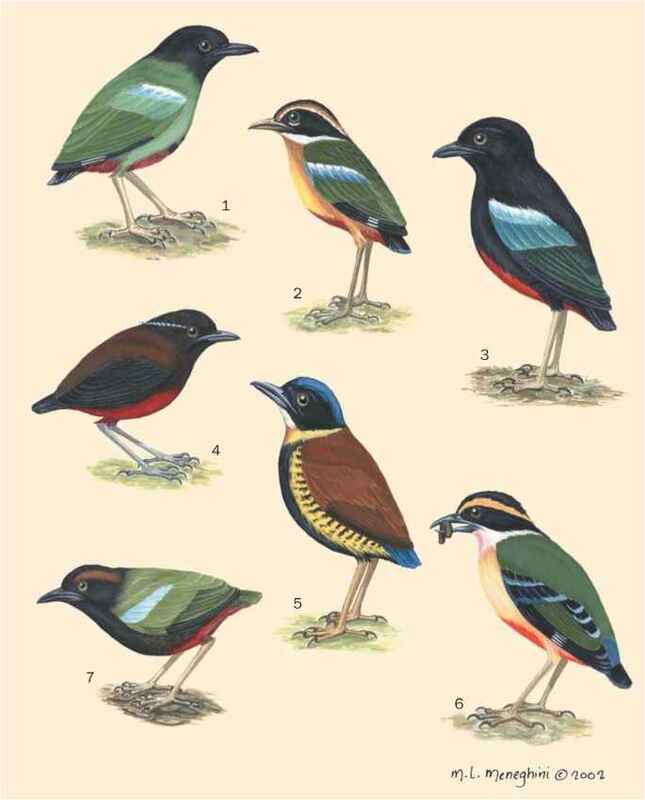 English: Melodious jay thrush, spectacled thrush, Chinese thrush; French: Garrulaxe hoamy; German: Augenbrauen-häherling. 9 in (22 cm). Thrush-shaped. Uniformly brown with fine darker streaking. Distinctive white eye ring, with long rearwards extension lending an "Egyptian" look. Bill pale. Taiwanese subspecies more heavily streaked with much reduced eye ring. Central and southeast China, Taiwan, Hainan, and northern Indochina. Feral populations established on the Hawaiian Islands of Oahu, Maui, Hawaii, Molokai, and Kaua'i. Scrub, secondary forest, and nearby farmland. A notably shy bird, yet famous for male's robust song. Stays near the ground, a weak flyer. Usually in pairs or small groups. Forages in leaf litter for insects, fruit, seeds, and insects. Monogamous. Large bowl or oval-shaped nest situated in thickets, made of leaves, pine needles, grasses, fine twigs, vines, and other plant material. May or may not be lined. Three to five bluish eggs, sometimes spotted. Female alone incubates for 15 days. Chicks fledge after 13 days of being fed by both parents. Two breeds raised between February and September. 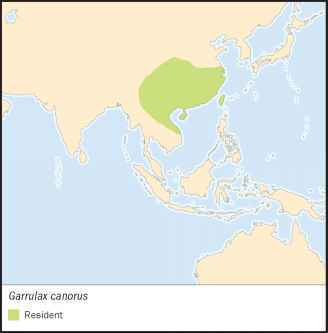 Not threatened, though Taiwanese G. canorus taewanus may be threatened due to introduction of mainland nominate subspecies. As disturbed and agricultural habitat is favored, still quite common on Chinese mainland, despite massive exploitation for the cage-bird trade. Added to Appendix II of CITES in 2001.